Wisconsin plans to slaughter 275 more wolves this fall. The DNR’s Bill Vander Zouwen says two wolf committees were combined and some slots were reduced. Zouwen also promises later public round tables that will bring in a wide variety of comments. About those “public roundtables?” Are they supposed to discuss this reckless 275 quota? If so they better get on the ball because the Natural Resources Board finalizes it next week. The NRB ignored the 3,000 letters sent in opposition to the use of dogs against wolves so are they expected to be the conduit for citizen input? I highly doubt it. Just like the sham committee, the DNR keeps blowing smoke and doing nothing to consider the input of anyone other than their killing cartel masters. If you are not furious then you are not paying attention. Maybe this will help. These are excerpts from the “Wolf Advisory Committee Meeting Notes” from the May 23, 2013 meeting in Wausau. Sit down when you read these. Changes in wolf policy led to a higher than average turnover in the volunteer tracking pool. Shock! 1. I have been raising cattle for over 50 years. As per USDA stats, cattlemen are the sector of society most adversely effected by wolves. 2. There was no livestock representation or consideration drafting the 1999 Wisconsin Wolf Management Plan. 3. Wolves are portrayed as elusive animals. They are living on our farms, entering our buildings, and eating dog food off of the porch. 4. Wolves are counter-productive when raising livestock. Depredation is only the tip of the iceberg regarding damage. 5. Wolves result in stress on both the producers and livestock. Sleepless nights hearing cattle being chased by wolves in the pasture. Hearing bawling cattle and fence wire stretching as cattle stampede through fences. 6. Cattle become very agitated and aggressive, a danger to anybody entering the pastures after depredations. 7. Stampeding cattle trample calves, killing them and injuring others. Some cattle cannot be found, and some are shot or hit by vehicles on roads. 8. Cattle huddle near buildings and will not graze in pastures where wolves are present. 9. Neosporious is a disease that causes cattle to abort their calves. Canines spread the disease in feces. Wolves and coyotes are definitive hosts for the disease. So now wolves are “eating dog food right of the porch?” Sure. I wonder why this only happens with people that hate wolves? What a bunch of crap this guy is spreading. Oh, the poor, poor, ranchers that get subsidized by taxpayers for their businesses, get government wildlife assassins to kill any animals that they perceive to be “threats,” and then get compensated for alleged “missing” cattle based on their word. I want this guy to provide impartial evidence of the ridiculous accusations that he is spreading. Any bets he can’t? Most money for depredation compensation comes from the southeast part of the state, but surveys were done in wolf range. 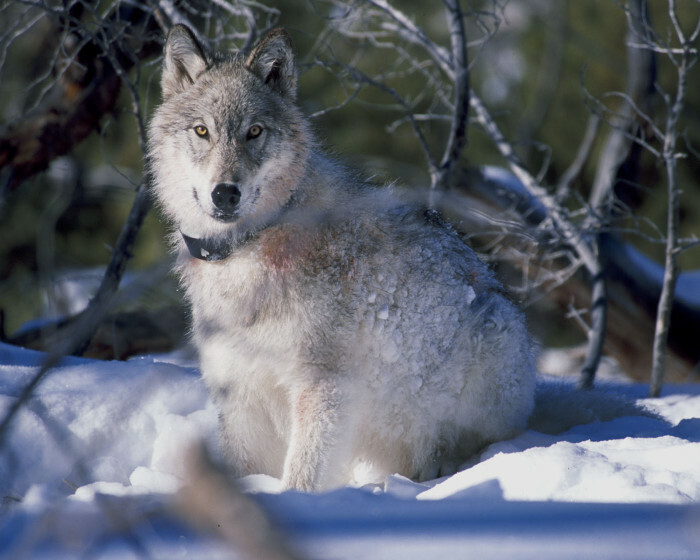 A majority of respondents want compensation for wolf depredation on livestock to continue, but want it to be contingent upon verification of wolf involvement and use of best management practices by livestock producers. The highest rate of support for lethal control of wolves was among bear hunters, then cattle producers, then random residents. Decrease in tolerance of wolves among residents of wolf range was most highly related to competitiveness for deer. The inclination to poach wolves was correlated with competitiveness over deer, not with fear of wolves or depredation. There was also a decline in appreciation for ecological values of wolves. Peter David (Great Lakes Indian Fish & Wildlife Commission) suggested that things are being done out of order. The existing management plan doesn’t address harvest. The 350 population goal can be interpreted in different ways. It is an old goal written when the population was ~200, and was based on social tolerance. Should that be the primary consideration in wolf management? We don’t have the ability to fully evaluate the effect of the first harvest season. We don’t yet know the age structure of harvested wolves. The tribes suggest being conservative until the plan is revised and impacts of the first harvest are better known. The emphasis of this group is harvest, which is being viewed as synonymous with management. Three hundred fifty is not a stable number to manage at. The tribes’ objective is to see all suitable habitat occupied. Minnesota is not intending to reduce the population with quotas. Michigan is only attempting to reduce depredation problems with their harvest. But of course the voice of reason was ignored by the killing cartels responsible for setting the kill quota for this fall. Bill Vander Zouwen provided a list of the types of opinions on quotas that were heard from Committee members at the last meeting. They ranged from wanting to get to a goal of 350 as soon as possible to being very conservative in light of uncertainty or tribal views of wolves. Gee, I wonder which one they chose? After it became clear that not everyone could rally around a particular quota, Committee members were polled about what they felt the quota should be. Answers ranged from a quota that produced a 5% increase in the population to a quota of 416. Sure, let’s just kill off over half of the population. I wonder which groups supported that? One member stated the population is being managed for social tolerance. Discussion followed with the conclusion that social tolerance would have to be measured statewide if we were going to manage for it. Really? The DNR has been saying for the past year that they are killing wolves for “social tolerance.” So if it is being measure statewide then why are the voices in the rest of the state being ignored? More lip service from the corrupt DNR and their puppets. Committee members were repeatedly asked if there was anyone who could not live with this recommendation, even though it may not have been their preferred quota. All, except the tribal representative, were ok with the quota. This includes the Timber Wolf Alliance that are okay with this mass slaughter. If anyone donates to that group, now might be a good time to reconsider that position. The factors to be considered in setting license numbers were read from administrative code adopted in the emergency rule. Basically, they involve reaching the quota, not exceeding the quota, providing opportunity for as many hunters and trappers as possible, and not so many that zones close before many people get a chance to hunt or trap when and where they want to. So it is all about providing sport killing opportunities for the wolf killing sadists in this state. How does this equate to “management?” It doesn’t. So there you have it. This is what passes for “public input” in the state of Wisconsin. Representatives from interconnected killing cartels and their associated lobbyists get to decide how to “manage” an animal that they are on record showing contempt for. We also see that the Timber Wolf Alliance is no friend of the wolf and blindly goes along with whatever slaughter plans that the DNR come up with. This plan is reckless and again only promotes “hunter and trapper opportunity” with a side of revenge. The only opportunity for “public input” is at the Natural Resources Board meeting on June 26th and they have shown little to no inclination to consider the views of the citizens in this state. That being said we still must bombard them with speakers and letters to show them that we do not approve of this reckless plan or how this sham committee came up with this ridiculous kill quota. Whether or not you support the item. If your comments are lengthy, please begin with a one-paragraph summary. The deadline to register to testify or to submit comments is 11 a.m. on the Friday prior to each meeting unless otherwise noted. Name of organization(s) you represent (if none, state that you are “representing self”). Topic or agenda item number and whether you support or oppose it. Email or mailing address, so the Board Liaison can confirm your appearance or reply to your written comment. Email or call the Board Liaison to schedule citizen participation and public appearances before the Board. Email or mail written comments to the Board Liaison. Please, please, please keep the pressure on these people. They refuse to listen to the majority and this reckless plan will only serve to bring our wolf population closer and closer to the brink. where is this NRB mtg. being held on June 26th? The link to the location has been added to the end of the post. I have been a long time member of TWA. The mission of TWA is education, not advocacy. Each year, volunteers in both Michigan and Wisconsin provide educational programs throughout the region, using their own funds and donating thousands of hours of time. For the record, however, TWA did comment in opposition to many of the practices mandated by the legislature. At this critical time for wolves, it is important that all groups work together. Each may have a different mission & different goals but all of us care about wolves. Whether they are an “advocacy” group or not they should not stand by and say that a reckless quota like this is acceptable. 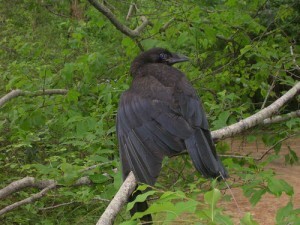 They think it is acceptable for 35% of the population to be killed this fall just in the LEGAL killing season. That does not include the killing by Wildlife Services goons, paranoid ranchers, and the countless killed by poachers. This is despicable and does not in the slightest point toward being “pro-wolf.” From the sounds of it they didn’t even raise any objection to this 275 number. Only the tribal representative did. With “friends” like these…….. It is my understanding that Eric Koens has never had a verified depredation on his farm. He raises several other interesting statements. Instead of attacking other groups, we should be attacking Mr. Koens statements. He claims livestock producers were not consulted during the creation of the 1999 plan. That is false. I attended many of the meetings when Eric and other livestock producers were present – the result was WI has one of the most liberal predator measures in the Midwest. Many factors cause stress to livestock and producers such as feed prices, weather, livestock prices, coyotes, bears, diseases. Wolf depredation is low compared to other factors. Yes, cattle may huddle near buildings when wolves are present but they also do so when other predators are present and when hounds used for training on bears in July & August. No research anywhere shows higher rates of neospora on cattle exposed to wolves than those not exposed to wolves. HIGHEST RATES OF NEOSPORA INFECTIONS OCCUR IN CATTLE HERD IN PLACES WOLVES DON’T LIVE. ANY CANINE THAT HAS FED ON INFECTED LIVESTOCK CARCASSES CAN SPREAD IT. They lie and use this garbage for their own propaganda as they have always done. These ranchers and killing cartels being given all of the seats on this committee is an offensive joke. My problem with groups like TWA is that they seem to not realize that you cannot negotiate with terrorists. Even a token objection to this reckless quota would have been something, but instead they just went right along with what the DNR and killing cartels wanted. The DNR and their killing cartel puppet masters will not meet any pro-wolf group in the middle. They have made it clear that they want to kill as many wolves as possible, as soon as possible. Do not be surprised if that “350” number suddenly becomes 250, or 150 as it is in the west. These people want this animal eradicated and the sooner wolf groups realize that the sooner we can devise a real strategy to fight it. The anti-wolf forces keep taking more and more each year and groups like TWA keep going along with it. When will they put up a fight? When wolves are all but eradicated? The time to fight is now, and people need to stop placating the DNR and their puppet masters. They only reason they didn’t make the quota 500 or more is because of the HSUS court case. If that and the risk of relisting were not there there would likely be no quota year round killing just like in Idaho. Who are members of the Timber Wolf Alliance? 20 years ago, weren’t they the ones who fought to bring back wolves to Wisconsin? Were they related to the Timber Wolf Information Network? Timber Wolf Alliance has been in existence for 26 years, yes our mission has always been education. The mission of TWA is to use education and science-based information to promote an ecologically-functional wolf population within areas of suitable habitat. TWIN is a separate organization, though many of our members support both. Something is terribly wrong with the state of WI. Blood thirsty thrill killers rule this state. I don’t understand how or why this has been allowed to happen. This is just a microcosm of what has been happening to the entire state since the beginning of 2011. Al semblance of decency has been absent from our state government and control has been handed to a bunch of petulant children that are hellbent on reversing anything and everything that is even remotely “progressive” in their eyes. The rightwingers in this state have sold out to any and every noxious special interest that flings a few dollars their way. It is revolting and time for people to take to the streets and march on the Capitol not matter what their cause is to defeat these thugs. We had the chance and unfortunately we didn’t have enough sensible, intelligent people in Wisconsin to throw out the idiot. So 2 more years we got of this crap… I was just reading a book on how we can all make a difference in the world. I certainly don’t feel this way. My testimony at the last wolf meeting along with many many others made absolutely no difference. Debating whether to do it again, knowing it will be a waste of time. If I do it, it will be because I can and want to, not because it will make a difference. Nothing will happen to change things unless likeminded people band together, like hunters have, and form a lobby with some power and clout. Economic impact studies of non-hunting recreation would be a good start. Bitching on a blog is not going to change things, although it may make you feel better. Could you try to dethrone him again? Just came back from out west after attending a memorial service for a relative. Once again, I looked over thousands of acres of fenced grasslands lightly dotted with beef cattle. No room for wolves, wild horses or buffalo to roam. It all seemed so selfish and covetous. Native people worked hard in the hotels making things comfortable for tourists. A sign with a cougar face on it read, “Drive Through Wildlife – Bear Country.” I saw the place up on a sun baked rise on the edge of a city, a zoo more or less, only not as nice. That was the place where wildlife was “allowed.” Just some reflections. Could someone enlighten me on this. There are no wolves that I’m aware of in this part of the state. I had some trouble finding the agenda item # for the wolf quota for the NRB June 26th meeting. It is agenda item 3.B.3. I e-mailed my objections to the wolf slaughter this am.